Right now the Walker is celebrating the book, specifically the artist’s book, in its exhibition Text/Messages: Books by Artists. 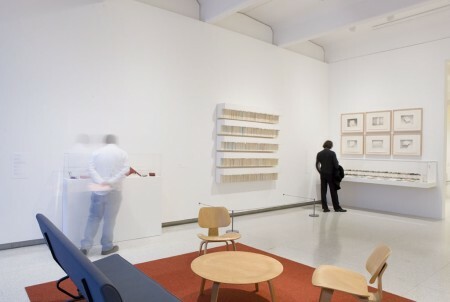 On display are familiar stories illustrated by artists such as Jim Dine and Slavador Dali; visual art made from books such as Rachel Whiteread’s Untitled (Pulp), 1999, a negative plaster cast of a bookshelf; and books that go beyond one’s traditional understanding of the narrative arch. In fact, many of the books in Text/Messages invite people to “read” through images, texture and implied meaning more than actual text. One thing shared by each artist in Text/Messages is a love and respect for books and the power books have to unleash one’s imagination and expand one’s realm of knowledge. In a way, Text/Messages advocates for literacy, or at least puts the wish out in the world that books can (and should) be for everyone. 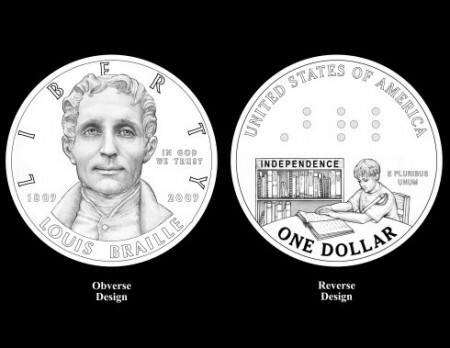 Today, the Louis Braille Bicentennial – Braille Literacy Commemorative Coin is being introduced. Louis Braille, like the artists in Text/Messages, understood the important role books play in human development and fulfillment and thus created a system for making the personal and independent act of reading accessible to people without vision through the raised lettering of the Braille alphabet. In the spirit of Text/Messages and Louis Braille, let’s all celebrate the beauty and opportunity text can unleash by supporting literacy efforts in the broadest sense. To learn more about the “Braille Readers Are Leaders” Literacy Campaign visit http://www.nfb.org/nfb/Braille_Initiative.asp.